Last week some of those good time guys and girls from the Edinburgh and Cardiff IPG paintball ticket street team wreaked their special brand of havoc at Delta Force Paintball centres across the country. Just goes to show that even for those that work full time within the paintball industry, a day of paintball is the ultimate way to wind down and have a great day out with your friends and co-workers! 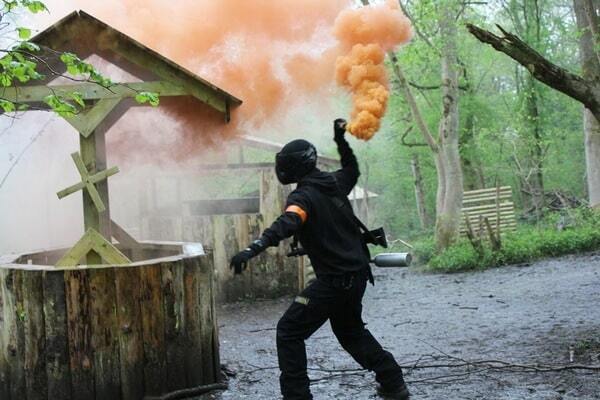 Although the majority of the Cardiff paintball and Edinburgh paintball IPG street team members had played paintball with Delta Force multiple times in the past, it was the first time for a most of the new recruits. These excited paintball newbies had only learned about the Delta Force experience through their company training and had only ever seen our internationally famed game zones in pictures. Suffice to say, expectations were exceeded and every newcomer came away with a different favourite. The IPG team are a dynamic breed well known for their high energy approach towards anything they engage with and paintball was no different. Their days were packed with all manner of legendary, high-tension moments – epic flag capturing dashes, suicide runs, cover slides and masterful teamwork that all the IPG guys will remember forever. 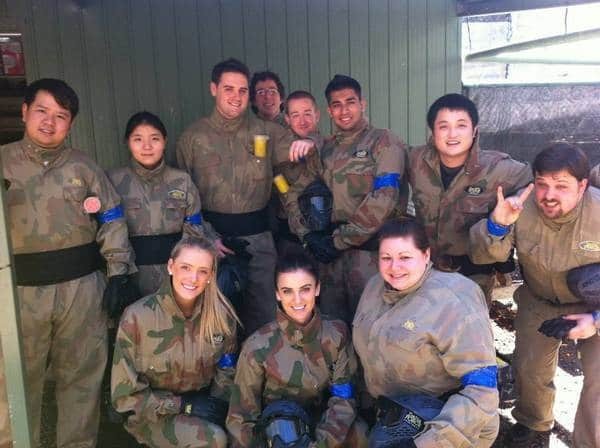 Paintball is the ultimate action team sport that serves as the perfect teambuilding exercise for companies, sports teams and stag and hen parties and our twenty years of success in the industry is testament to that claim. After a few years of working in the business of paintball, a good number of the veteran IPG team members have caught the paintball bug and have taken to buying some of their own gear and returning to Delta Force centres on a regular basis. Even for those with their own equipment, nothing beats the look of the M16 and ninja suit combo! Everyone on the IPG Edinburgh paintball team splashed out on the popular rental gun just to look the part. For years, IPG street teams have been a popular mainstay of high streets and shopping centres across the world. 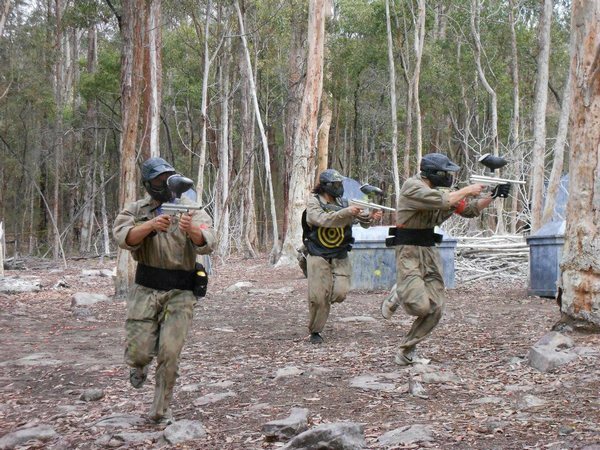 From the UK and Ireland to all the way over in Australia, New Zealand and Canada – IPG ticket sellers bring the paintball phenomenon to the public by introducing people to the sport and offering an excellent deal for a day of paintball with Delta Force. 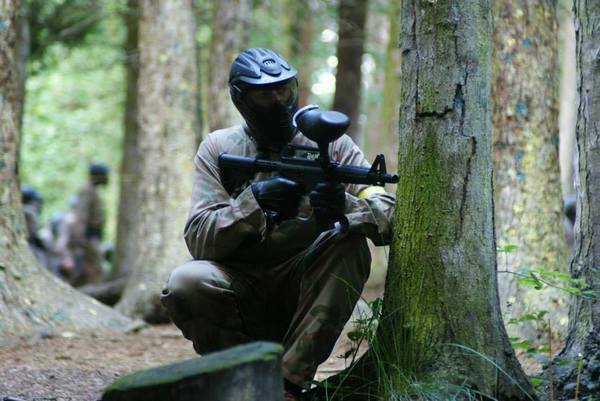 Buying paintball tickets from IPG street teams is one of several ways to book a paintball event; alternatively our paintball booking office can be reached on 0203 869 9301or it’s possible to fill out our booking form to request a call back from one of our event operators.